Found 3 file extension associations related to Avant Browser and 2 file formats developed specifically for use with Avant Browser. 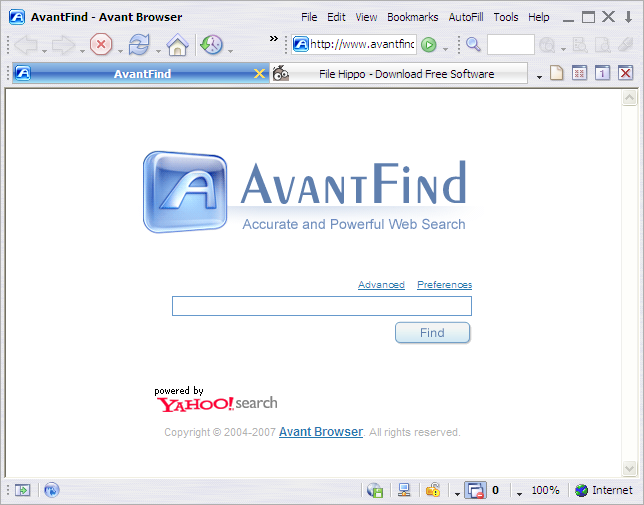 Avant Browser is a free user-friendly interface brings a new level of clarity and efficiency to your browsing experience, and frequent upgrades have steadily improved its reliability. If you need more information please contact the developers of Avant Browser (Avant Force), or check out their product website.